The edwired.com and edweird.com blogs are 1 year old today! It was January 7th of 2016 when I made the Hello World posts on the WordPress blogs I created on the edweird.com and edwired.com domains. I registered these domains way back in late 1999 and used them for a variety of things including having them pointed at websites and email. The technology used for hosting web sites has changed over time, and a year ago I decided that I wanted to build my skills on what is a very popular content management system at this time. I have learned a lot about WordPress in the past year, and I am continuing to learn even more about what it means to host, create, publish, and monetize content on the internet. Each of my blogs currently has 15 unique pages and about 80 blog posts, most of which are published and not drafts at this time. I’d like to make a blog post on each one each day, but in practice I’ve been averaging about a post a week on each. I average about 5 unique visitors per day per blog at this point. They each view on average 2 pages. This number has grown over the year and is more consistent when I am posting to my blogs on a regular basis. I display 3 ads using Google Adsense on my blogs, and my revenue for both sites combined was between $4-$5 for the entire year. I monetized my YouTube channel in December and started creating video blog posts. It contributed about .30 in that month to the total I mentioned above. 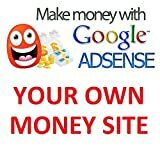 Established Adsense Website - Make $60/mo At Least - Guaranteed Profitable Site! For the first six months I also hosted some ads or created links that used an advertising network but during that time I didn’t earn enough commissions to keep that account open. I’m no longer actively using that network but I still remember what I learned while implementing it. I have affiliate accounts with both eBay and Amazon that I use for linking and inserting advertisements that can pay me a commission when people click on them and then buy something on those sites. I describe this in my Disclosures page as I am required to per FTC regulations. I have also shared my links with friends so it’s difficult to know how much of the approximately $70 I earned on eBay, and $6 I earned with Amazon during the year were because of blog readers instead of friends and family using my links. I didn’t see any other income from my other partner and referral links. The costs for my domain registration, domain name service (DNS), and optimized WordPress hosting could be around $15 a month per blog depending on the vendors and plans I choose. I mention this so that when I say that my blogs aren’t yet paying for themselves, my readers will understand the figures involved. I didn’t start publishing these blogs to make money, but it would be nice if they were self supporting. In the past year I have been very pleased with Hostgator. I’ve used the skills I’ve learned in the past year to take on two clients for which I have also created, managed, and updated WordPress websites and social media channels in the last year as a for profit venture. It’s possible that I will add additional clients and websites in the next year while also growing my own two blog sites. If you have been thinking about starting your own blog, or would be interested in having a website created for you, or have any other questions, please use the form to contact me. If you like my blogs please be aware that you can be notified up updates via following my Twitter account and/or by signing up for email updates on each blog site. Thanks for reading my blogs. Should you have a UPS for your computer? Should you have a UPS for your computer? Absolutely! The obvious reason is that it will provide power to your system when the power goes out, but what are the other reasons or benefits? A stand by UPS places a battery between the equipment that is plugged into it, and the power grid. This battery and associated circuits can also monitoring the incoming power, and correct some issues with it like power blips, making for a cleaner and more stable power supply for your PC and other equipment. This is often referred to as regulation and smoothing. 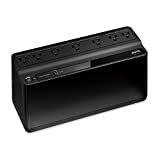 Most UPS’s will also indicate issues with grounding or polarity at the outlet. Some PC’s have a performance enhancing option called write behind cache to can be enabled to improve storage speed. In order to do this, data is held in memory on the PC and were a power failure to occur with the option enabled, there is a risk of data loss and corruption. On my system this option was OFF by default and there was a warning NOT to use it unless the computer was connected to a UPS system. If your cable modem and router/wireless access point are located with your PC, you should also plug them into the UPS. What use is a PC that stays on if your internet access goes out? If your cable modem and other stuff are in a different location, there are smaller UPS options that are a good fit. These devices will also benefit from a cleaner source of power and protection from bad power. Some of those times you had to reset that equipment because it was acting up might have been after power blips. I live in Florida and it’s unusual for the power to go out and stay off for more than minute, unless there’s a hurricane. What happens a lot is power blimps, or momentary flickers of power during a thunderstorm. The size of a UPS needed to provide protection for these doesn’t have to be particularly large. In the event that a power outage might be longer, the need is for enough power to save any unsaved files and shutdown the operating system on your PC. This might take 5 to 10 minutes at most. There are tools on the net that help you pick the correct size for your equipment. 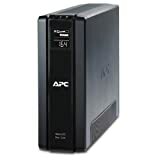 I’ve personally had good result with APC brand UPS’s and my most recent purchase was a CyberPower brand unit. Typically the battery inside works fine for at least 3 years and then as some point after that, will lose capacity and the UPS will alert you that it needs to be replaced. Amazon and other retailers also sell drop in replacement batteries that can make an old non-working UPS function properly again. 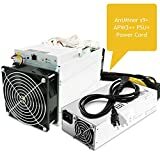 A little over a year ago I bought this Bitcoin miner to help me learn about cryptocurrency. 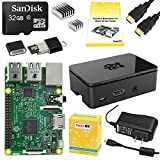 It worked great for a learning experiment, and I was able to plug it into the USB port of a Windows PC and run the mining software. 3.6 Gigahash a second sounded like a lot to me, but the reality soon sank in that while it wasn’t that expensive to buy, and it didn’t use a lot of electricity or make a lot of noise, it also didn’t mine much Bitcoin. A USB stick miner like this will never return your initial investment. You could buy a whole bunch of them, and plug them into a USB expansion hub with a fan blowing cool air over them to multiply the amount you mine, but unless you get them for free, you will never come out ahead. My advice is to take the money you would spend on this, and just buy the Bitcoin directly. You probably have been seeing Bitcoin in the news since it’s been setting an all time high, and it’s performance in 2016 was outstanding. The company that I have used to buy some of my Bitcoin has an offer for my readers. Go to the Coinbase site using my link and purchase $100 worth of Bitcoin or more, and you will receive an extra $10 worth of Bitcoin for free. Not a bad deal compared to buying something that will never pay for it’s self. I also need to tell you that I will receive $10 of Bitcoin into my account for this action. You can read the disclosures for my blog here. If you decide to buy some Bitcoin for yourself, why not make it a win/win and help support this blog.